Circle your calendars! 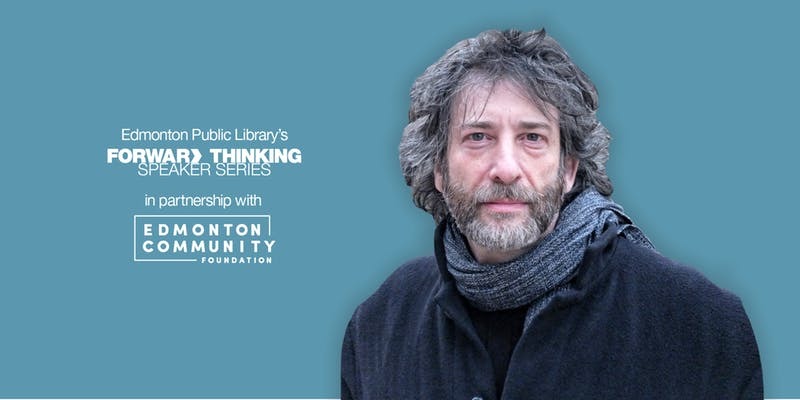 EPL in partnership with the Edmonton Community Foundation and the University of Alberta Libraries are excited to present award-winning and best-selling author Neil Gaiman as part of the Forward Thinking Speaker Series on Tuesday, November 13th. The #1 New York Times bestselling author of more than 20 books, Neil Gaiman is known for works such as contemporary fantasy novel American Gods, young adults’ story Coraline and children’s novel The Graveyard Book. His Sandman comics have been called groundbreaking, and he is known as a creator of not only fiction and comics, but also of screenplays, song lyrics, poetry, journalism and multimedia works. A self-described “feral child who was raised in libraries”, Gaiman describes his varied art as: “I make things up and write them down”.